Scrambled eggs in the shell! 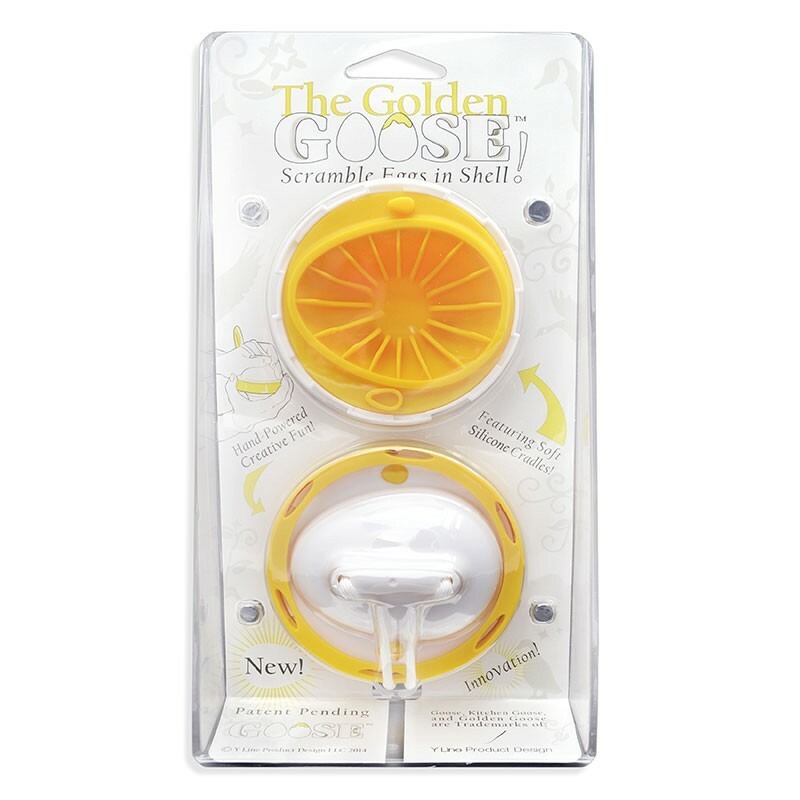 The Golden Goose® is a hand-powered Kitchen Gadget that lets you scramble eggs inside the shell. Also check out Goose Gadget's newest invention: BUTTER BOSS® . Buy them both here while supplies last! The Golden Goose ® is a hand-powered Kitchen Gadget. It has been carefully designed and tested to scramble the contents of a shell egg. The device uses ‘centrifugal force’ to scramble an egg inside of its shell, creating ‘Golden Eggs’. Substitute Golden Eggs for a splash of color & flavor, or simply to amaze and delight your friends! It's an Innovation you give as a Gift to any fan of the humble egg. Scramble eggs in the shell, or use it as a fun novelty to explore your inner gourmet! It's the flagship product launch by Goose® brand Kitchen Gadgets!